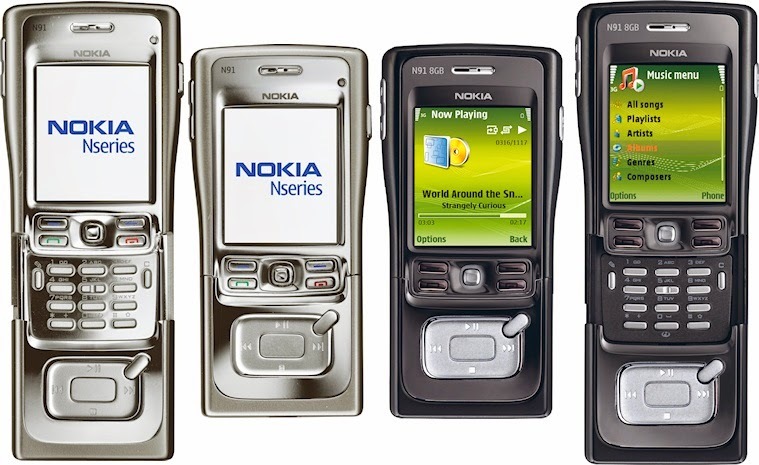 Announced ten years ago this month, the Nokia N-Series was a successful attempt by Nokia to move their range upmarket with a collection of high-end handsets that offered the best technology that Nokia could produce, helping to cement Nokia's position as the leading mobile manufacturer for the next five years or so. Although the N-Series name was also applied to Maemo and MeeGo devices and most recently the Nokia N1 Android tablet it is most closely associated with a series of Symbian S60 smartphones that were launched in April 2005, with the last announcement made exactly five years later with the Nokia N8. The high point of the range was probably 2007's Nokia N95 8GB. Back in 2005 the initial handsets launched were a varied bunch. 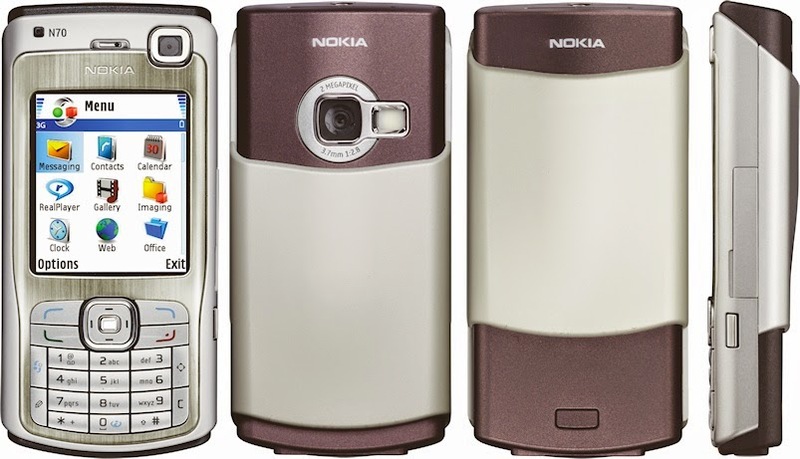 The most traditional device was the metal-clad Nokia N70, primarily a cosmetic upgrade of the Nokia 6680. This was a 3G device with a 2.1" 176 x 208 pixel display, video calling camera, a 2 megapixel primary camera with a flash (hidden under a sliding back), RS-MMC expandable memory, an FM radio, media player, web browser and email client. At the time this 126 gram device was the smallest Series 60 3G phone on the market. Nokia broke with tradition somewhat to come up with the Nokia N90, a Japanese-style folder with a swivelling display. Building on the features of the N70, this had a 2.1" 352 x 416 pixel primary display with a 128 x 128 pixel secondary panel on the outside. There was a single two megapixel camera which pointed out sideways from next to the hinge, an unusual arrangement that worked quite well with the swivelling screen, so you could hold it like a camcorder or even make a video calls with just one camera. A big beast weighing 173 grams, the N90 never seemed to be all that popular. Perhaps it was a bit too radical. If you thought the N90 was odd, then the Nokia N91 went even further into uncharted territory for Nokia. A metal-clad but rather ugly device, it was actually a slider with media control keys that moved down to reveal a standard number pad underneath. But inside the Nokia N91 was very special, with a 4GB internal mechanical hard disk (later upgraded to 8GB) which provided plenty of space for music files. A dedicated audio chip meant that the quality of music playback was first rate. The N91 is a rare but quite collectible device today, typically costing €50 or less. 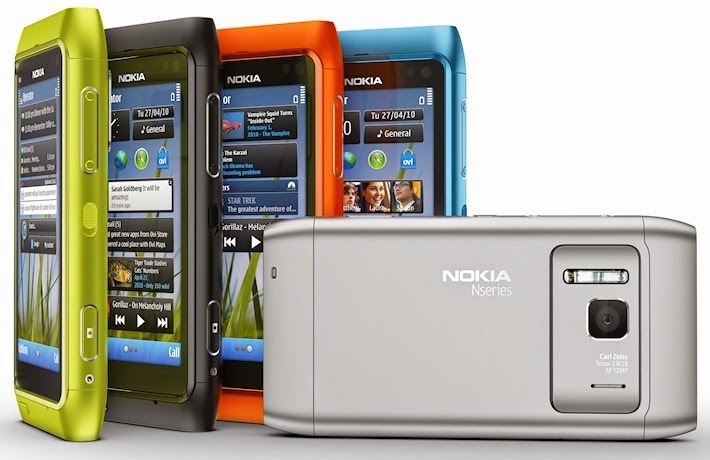 Exactly five years after the first products were announced, the final N-Series handset was launched, the attractive Nokia N8. While the N8 was still a Symbian smartphone, this was now Symbian^3 which fully supported the N8's touchscreen. But the game was nearly over for Symbian and less than a year later Nokia's incoming CEO effectively killed it off. 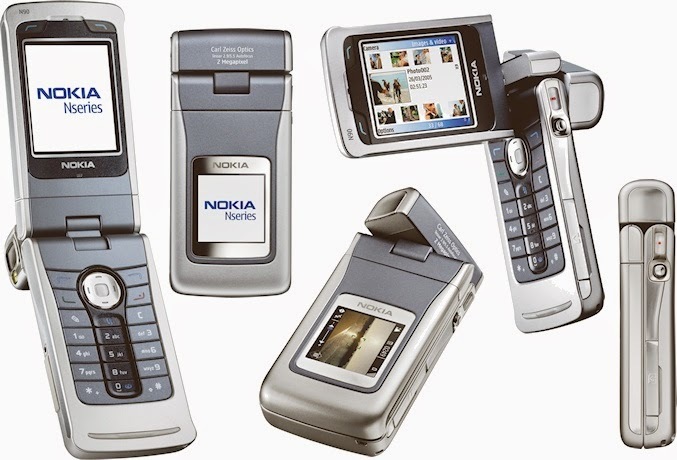 Novel features included a 12 megapixel camera and a full set of smartphone features that were at least somewhat competitive with other devices of the time. Although it was a highly polished product compared to the Symbian of five years before, this was stretching the platform about as far as it could go. Designed originally to be a very lightweight operating system, it simply wasn't as easy to write applications for this as for Apple's iOS or Google's Android OS. The logical solution would have been to move from Symbian to the Maemo platform on the N900, but Nokia had managed to screw up Maemo completely with an ill-advised merger with Moblin. Although the N8 wasn't the last Symbian handset to market, it is one of the best and is still in some demand with prices for "new" stock coming in at between €230 to €300. It wasn't the last Symbian phone from Nokia, that was the 41 megapixel Nokia 808 PureView in 2012. The end of the N-Series also marked the beginning of the end of Nokia's dominance of the industry. A little over four years after the N8 was launched, the Nokia name virtually disappeared from the mobile phone market.